Availability of data and services in today’s enterprise is often the difference between success and failure for a company. A server outage or massive loss of data can bring a company to its knees. When companies consider adding new storage to their data center, one of the questions they must always consider is how to ensure data availability. 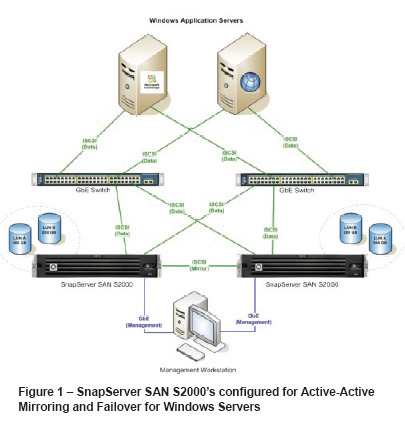 With the SnapServer SAN S2000 and the High Availability option available for their Windows and VMware environments, they will be assured that they can effortlessly deploy an Active-Active Failover solution that gives them the peace of mind that their critical business assets are protected. 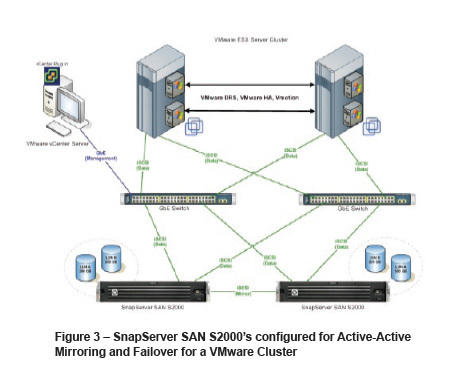 With integrated software for managing the SnapServer SAN’s targets directly from within the native Microsoft Windows and VMware vSphere environments, administrators no longer have to utilize multiple tools for managing their iSCSI SAN storage. 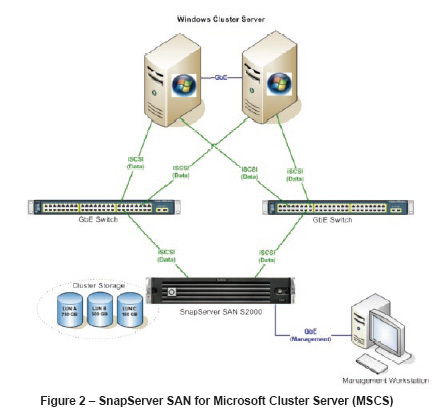 The SnapServer SAN’s integrated management interfaces and the Wizards that guide you through every aspect of creating and managing your storage remove the complexities of creating your iSCSI targets and managing your High Availability deployment. High Availability for Windows can be deployed in different ways depending on the preferred scenario or based on application needs. They may need to have more availability for storage or they may have the need to integrate with a Microsoft Cluster Server or even clustered Hyper-V Servers.